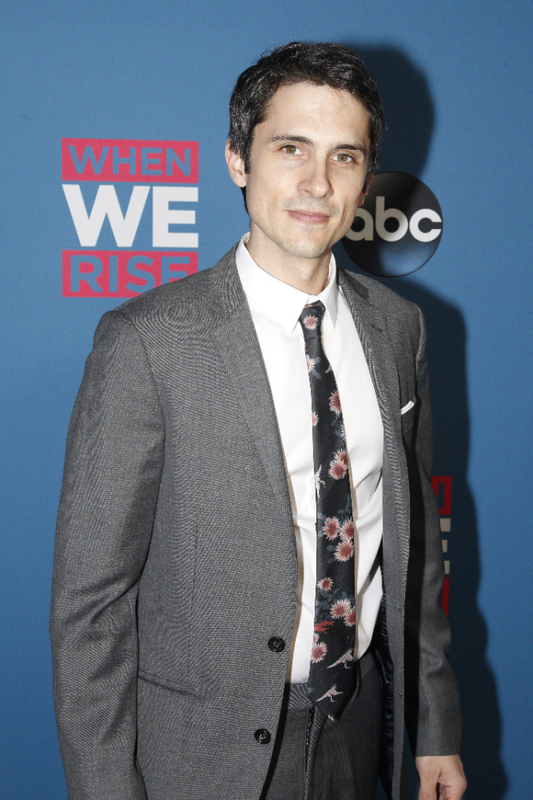 The off-Broadway actor plays Clinton-administration gay-and-lesbian civil-rights adviser Richard Socarides on the new ABC miniseries When We Rise. In 1992, psychoanalyst Charles Socarides cofounded NARTH (the National Association for Research & Therapy of Homosexuality), an organization advocating reparative therapy for individuals experiencing “unwanted homosexual attractions.” A year later, his openly gay son, Richard, took a job in the Clinton White House, where he became the administration’s chief adviser on gay and lesbian civil rights. This startling true story is just one of many that straddle the line between personal and political in the Dustin Lance Black miniseries When We Rise, which charts the progress of the gay rights movement from the early ’70s to today. It premieres on ABC on Monday, February 27, at 9pm ET and stars a host of theater favorites including David Hyde Pierce, Emily Skeggs, and Mary-Louise Parker. Charles Socarides (son of the aforementioned doctor with the same name) plays his own big brother, Richard. Charles Socarides fils has appeared off-Broadway in The Marriage of Bette and Boo and Sons of the Prophet, but this is unquestionably his most personal role. He let us know what he learned from this experience, which was the culmination of a lifetime of character study. 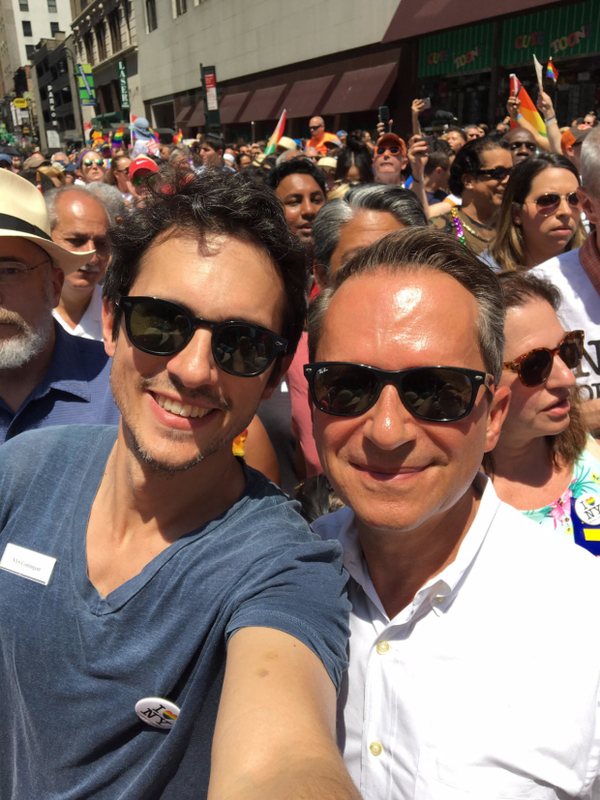 Charles Socarides (right) plays Richard Socarides and Guy Pearce plays Cleve Jones in Dustin Lance Black’s When We Rise on ABC. What was it like to play your brother? It was scary upfront, but I tried to think of it as just a role. When the writing is this good and you’ve got a great role, you just need to do your job. I auditioned. My brother did some work for Hillary, so I actually first met Dustin Lance Black at a Hillary event. He said, “We have this idea that you should play your brother.” I didn’t know how serious he was, but I got a call for an audition. I had to prepare the scene where I come out to my father and I got the part. The role of your father is played by Tony winner John Rubinstein. You’re sitting across his desk, playing your brother coming out of the closet to your dad. Did filming that scene feel like some kind of psychological exercise? It was completely surreal. We had this amazing production designer, Bill Groom, who called to ask what my dad’s office looked like. So Richard and I sent pictures. I showed up to film and Lance said, “Hey, do you want to see your dad’s office?” Every day it got a little more detailed. Finally, at 12:30am, we started shooting. Richard was on set. The scene is eerily accurate. Was Richard’s real-life coming out that dramatic? Yeah. I would hear about it from my mom. Richard might tell you that the scene in real life was a little messier than written, as life is sometimes. I think the only way he could get through such an encounter was to know there was love between him and dad deep down in his heart and that he needed to say out loud what both of them knew to be true. That’s something that a lot of LGBT people have to go through and there’s usually an adjustment period between the lie and the truth. Was that the case between Richard and your dad? It certainly was. There were ebbs and flows. They never really reached a point of ease between the two of them, but it was good for them as human beings to be honest with each other. 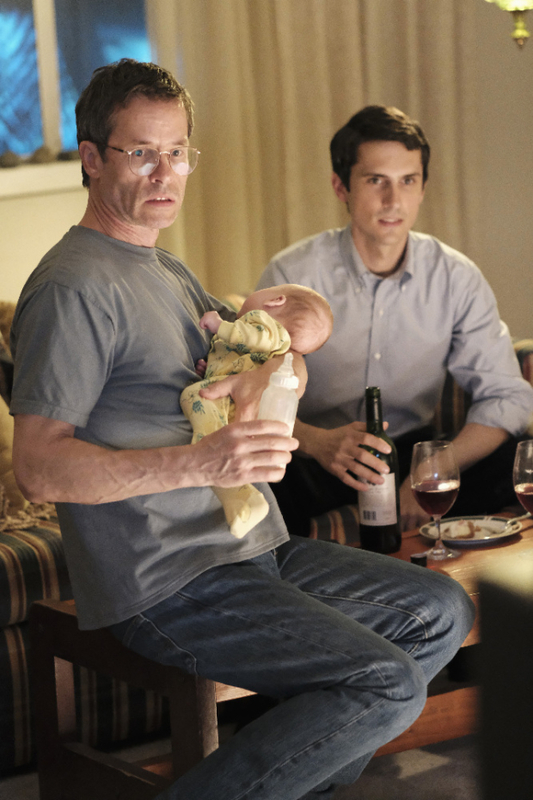 There is a scene in the miniseries in which activist Cleve Jones (played by Guy Pearce) confronts Richard and asks if he’s related to “that homophobe shrink who damned my entire generation.” Richard turns around and politely says, “He’s my father; have a good day.” Living in New York and working in the theater, is that a conversation that you’ve had to have? Whenever I see someone who’s about eighty who comes up to me after a show in New York, I usually know what it’s about. They either went to school with my dad or they were a patient. They’re always very nice. Cleve Jones is the protagonist of this story because he’s a rabble-rouser. Richard works in politics. That scene represents their divergent personalities in a nutshell. Richard’s strength is his ability to remain composed and productive under pressure and not let these personal demons eat at him too much. Charles Socarides stars in When We Rise on ABC. Do you have a favorite memory from working on When We Rise?